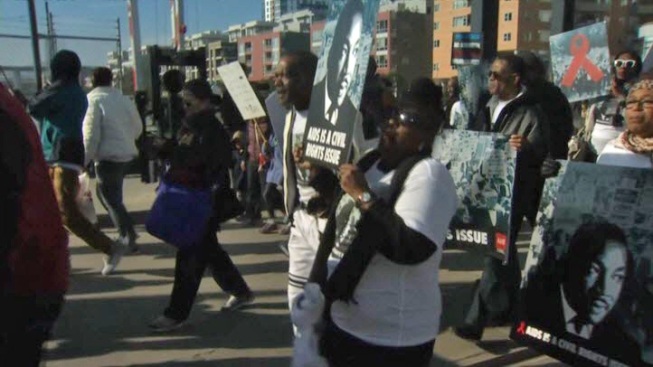 Celebrations of Dr. Martin Luther King Jr.'s birthday were held all over the Bay Area on Monday, including thousands attending San Francisco's annual MLK march. Last year, the headline in San Francisco was Mayor Ed Lee being chased from the stage by hecklers angry over police shootings. This year the mayor was front and center, promising a unified front against president-elect Donald Trump. "I know some of you are worried about Donald Trump," Lee said. "Well our unity will make him worry about us in San Francisco." The march in San Francisco included hundreds of people who stepped off the Celebration Train that rolled from San Jose to San Francisco, symbolizing 50 miles King marched from Selma to Montgomery. Former Golden State Warriors player Baron Davis also participated in the march. "I just wanted to do something with my morning to pay respect and show some gratitude," Davis said. 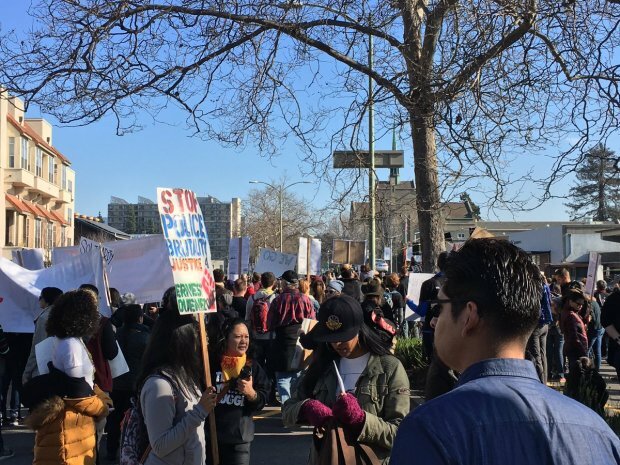 On Monday morning, thousands of people also marched from the Caltrain station to Yerba Buena Gardens. Among the marchers was Jess Brooks, who brought a bus load of demonstrators from Oakland. The group's goal was not only to commemorate MLK, but raise awareness about HIV and AIDS among African Americans. Brooks said he is afraid of what the Trump administration will do by repealing Obamacare. "Unfortunately, I feel like the next four years is going to be a fight," Brooks said. Meanwhile, thousands of people shut down several downtown Oakland streets Monday during another march in honor of King. The march, organized in part by the Oakland-based group Anti Police Terror Project, included drummers and dance performances. According to the group, the march marks the beginning of a week of a series of actions to resist Trump leading up to his inauguration on Friday. "This year we are focused on immigration rights, protection of our Muslim brothers and sisters, women's reproductive rights, loving LGBTQ sisters, brothers and siblings, and the defense of black life," the group said in a statement posted on a Facebook event page for the march.